Manage the entire commercial real estate transaction process from listing to closing with CREXi. The company applies the latest advances and technology to easily manage transactions. CREXi is designed for the commercial real estate market as an efficient commercial real estate exchange. 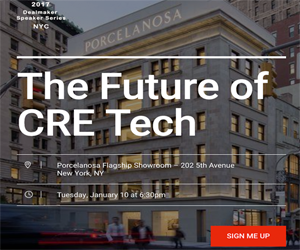 During its beta stage in 2015, CREXi reported 200 properties with a $1 billion total valuation moved through its system. CREXi launched to the public in early 2016 and today its marketplace inventory represents approximately $60 billion in value. The commercial real estate platform provides one stop for technology tools like digital letters of intent (LOI) to advanced sales analytics. The suite of easy-to-use services is fully integrated to save time. Highlights of the flexible, customizable platform include a secure and transparent transaction environment, customized communications with real-time settings, a data vault for safe document management, and advanced analytics with regional charts and graphs providing a snapshot of real-time activity. The CREXi platform offers on- or off-market listing options and nationwide digital advertising. Take advantage of one-click reporting and real time deal updates. Propose counter offers and evaluate interested buyers. Clients can reach a global audience while building their network. For brokers, the dashboard helps distribute custom marketing templates, manage and track communications with interested parties, generate reports for team and clients, and review advanced analytics. Commercial property owners can house all of their underwriting and due diligence documents in secure data storage. Property owners can add brokers and associates to manage the process. CREXi is available nationwide for commercial real estate brokers, buyers, investors, and sellers. Property owners and brokers list and manage properties in the CREXi online marketplace. Buyers search for available listings by location, property type, asset class, and brokerage. In February 2017, the company reported 10,000 available properties for sale on its marketplace.